A couple of Snap on Sunday's this week, depicting something interesting but unfortunately of fairly poor quality, and another, quite mundane, but pleasing to the eye! Firstly, the interesting, with the rare occasion of a Volvo Olympian nonetheless operating on the PR2 on Friday afternoon. 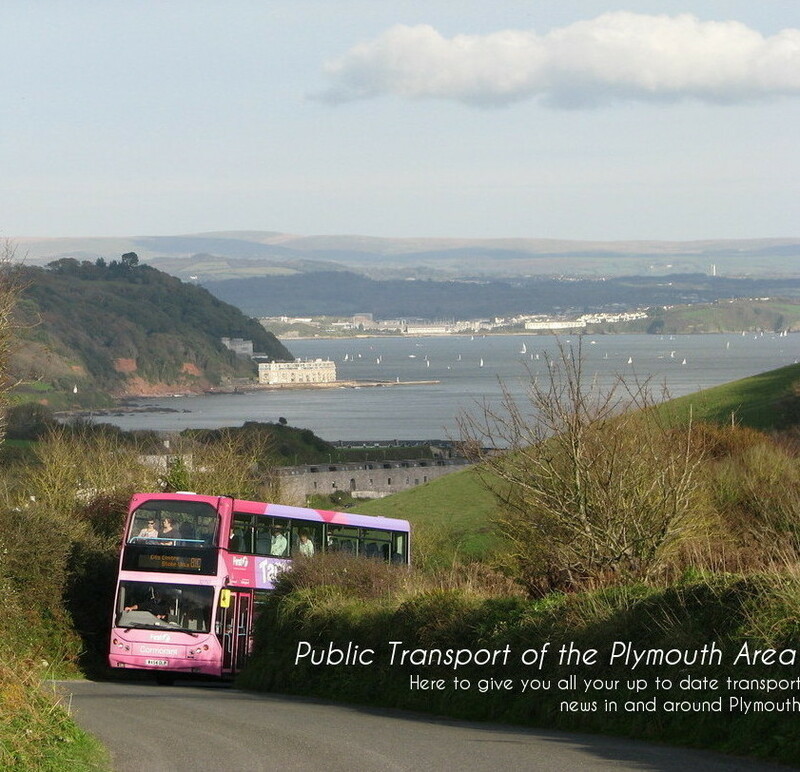 As Plymothian Transit reported recently, there has been widespread displeasure with First after moving the '12 plate Enviro 400s off the Park and Ride services, and onto the Tavistock routes, leading to a variety of older Dennis Tridents replacing them on the Park and Rides. It was interesting to hear of the Council's reaction to this, but later did seem very ironic that they themselves appeared to be making the 'commercial' decision of introducing parking charges to the Park and Ride sites. A gesture of spite towards FDC? Who knows; but since this story was published I've heard no more of it, so perhaps they came to their sense before it was too late! Anyway back to the bus, and P568 EFL had the honour of appearing likely due to the severe congestion experienced on Exeter Street on Friday afternoon, with her coming in to try and restore a frequent service. That, or perhaps an Ex-London Trident failed; also a likely explanation! Unfortunately a poor point and grab shot with no time to set the camera up properly for the photo; it certainly took me by surprise, but thought I better at least get a record shot! Now onto the better quality shot, and to a subject I actually very rarely include in the blog. The photo here depicts Plym II as she plods her way across the Tamar on the 1300 departure from Devonport to Torpoint in the low winter sun; the dockyard buildings providing a satisfying backdrop.